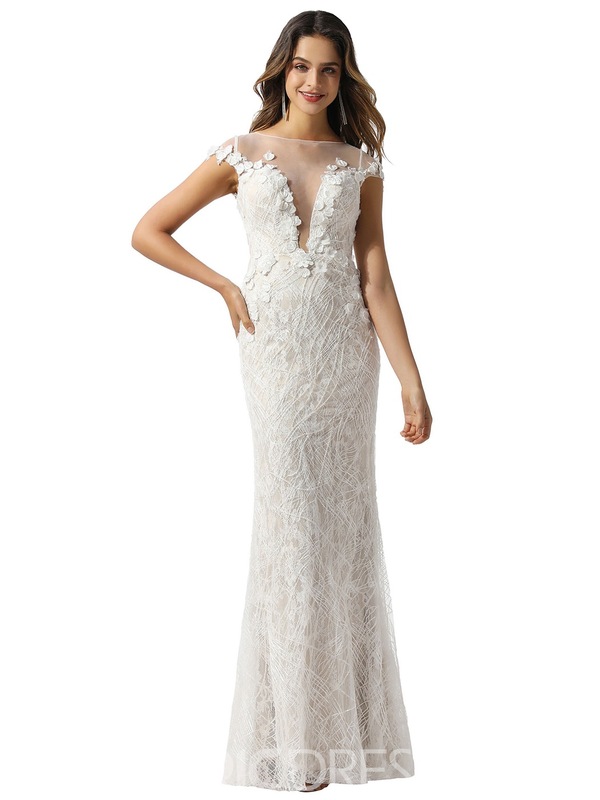 Are you looking for a cap sleeve wedding dress? When you are wedding dress shopping there are many options to choose from. You can either just look at a bunch of different dresses with different styles and find the one you like or you can choose to shop based on a few specific things. When you shop for a wedding gown you can narrow it down piece by piece. You can choose the type of neckline you want, the silhouette of the dress, the color, the hemline and even the type of sleeves you want. If you decided that you are interested in cap sleeves – a sleeve that only extends a short distance from the shoulder and has nothing under the arms – you can start with that type of detail and then move on to other options from there. We are going to look at different cap sleeve wedding gowns and hopefully you will find a specific style or even dress that you like. The A line wedding dress is one of the most popular wedding gown styles. One of the reasons is because it is flattering on everyone no matter what body type they have. 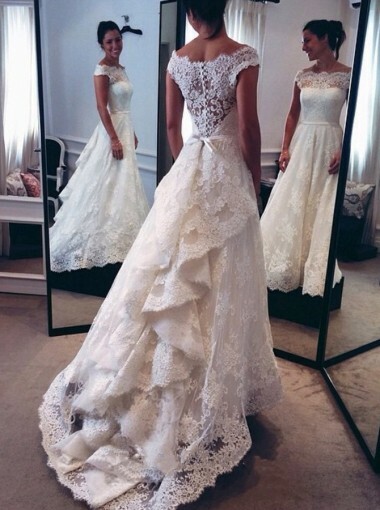 The A line can be a more simple wedding dress. It has a fitted bodice and flairs at the hips. Although it is a simpler style within itself because it is the most popular style it does come in many different varieties. Wedding dresses can change a lot with the color, the material it is made of, the length of the gown and so forth. 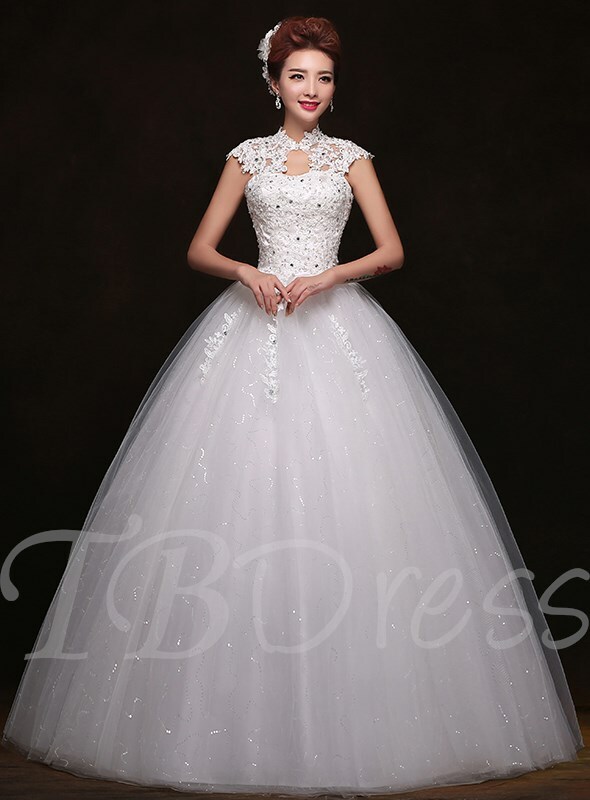 The ball gown is the type of wedding dress you picture for a fairy tale wedding. It is immense and beautiful. It can be everything. Now not everyone sees themselves in this type of gown. 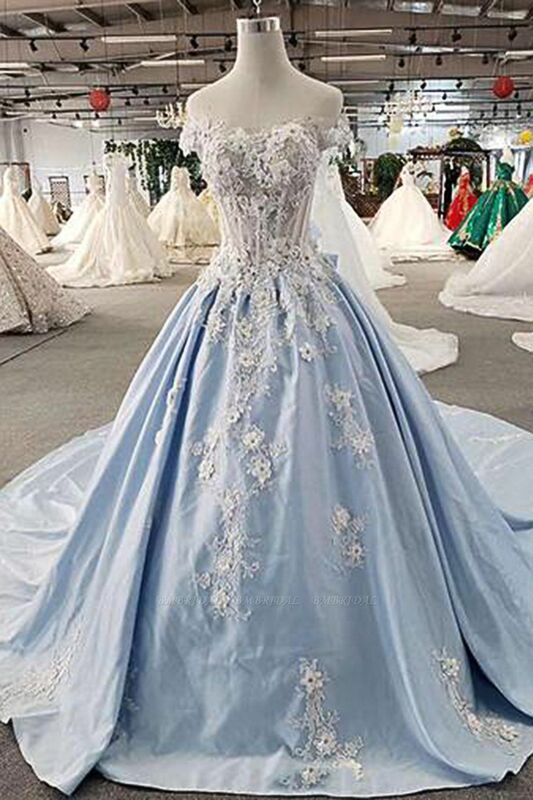 Ball gowns tend to be over the top. If you do not see yourself as a romantic or someone who is outgoing and loves attention, this might not be the dress for you. It does not mean that it would not look great on you, but some people are not comfortable in a dress like that. Besides the whole princess vibe, it is also big and can be heavy with lots of fabric. It could be very difficult to walk and dance in if you are not used to wearing anything like that. 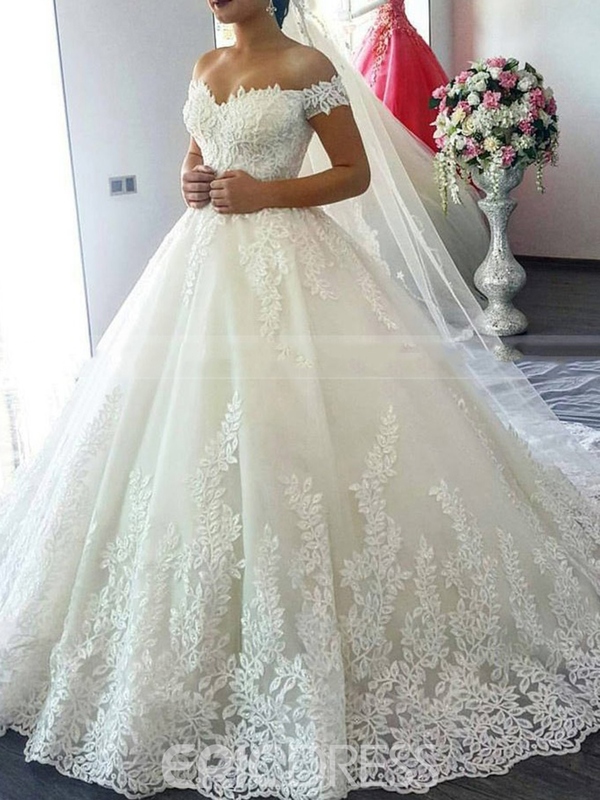 However if you think you could handle that and it is something you are interested in I really think you should look more into it as ball gown wedding dresses can be stunning. The mermaid wedding dress has become more and more popular in recent years. There was a time when there was not a lot of styles and dresses to choose from but that has changed significantly. So if you are interested in the Mermaid style but are afraid your options will be limited, don't be. 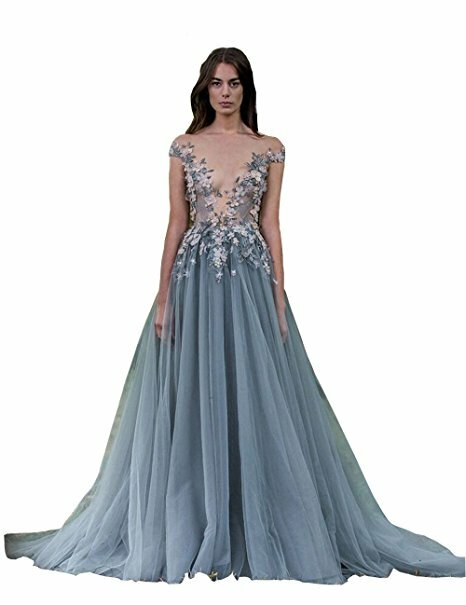 So why would you want a mermaid wedding gown? There are several reasons why people consider this style. 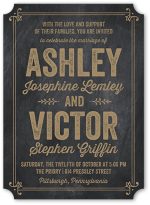 First of all this is the perfect style if you are having a modern wedding. The mermaid wedding gown is as modern as it gets. 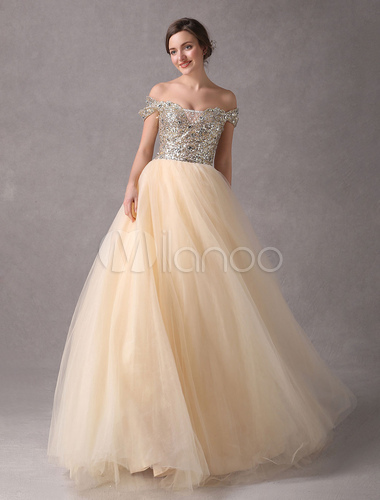 It is form fitting and does not have a large skirt. It is the opposite of what most people think of when they picture wedding dresses. Some other great features of the mermaid include the fact that there is not a large skirt. If you are a petite woman a dress with a large skirt can just swallow you up and make you disappear making you look shorter and smaller than you really are. 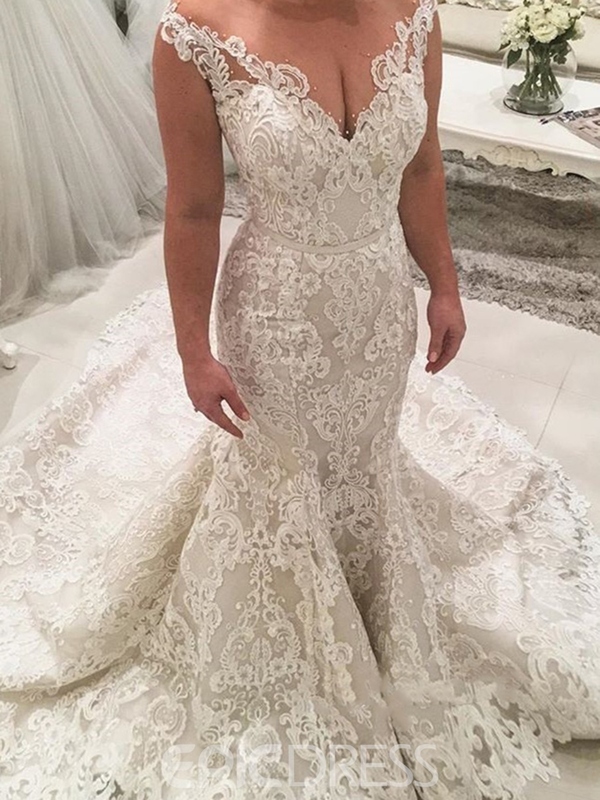 Some other reasons to consider the mermaid wedding dress include that they play up your curves instead of hiding your body and they make your wedding dress completely memorable. The sheath wedding dress might be the least forgiving of all the wedding dress styles available. If you have problem areas, the sheath will not hide them for you. However if you have a great body this dress style, sometimes called the column dress due to the straight up and down style with no flaring, might work for you. Often times this is a more sleek and minimalist design, without all the extra frills and beading that other dresses have. 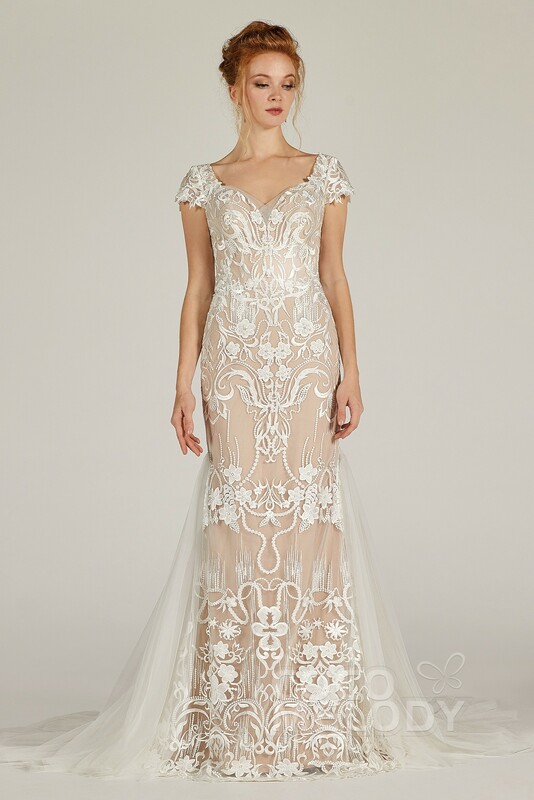 It is possible to find sheath wedding gowns with extras, but it is not the norm. 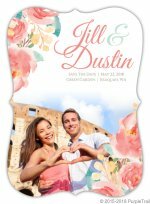 This is a popular wedding dress style for beach and destination weddings. Short wedding dresses is not really a style description, just the description of the hemline as a short wedding dress can come in multiple styles. The vast majority of wedding gowns are floor length but you can find wedding dresses shorter anywhere from ankle length to a mini dress. 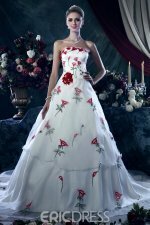 If you are looking for a short wedding gown it is possible and there are many beautiful ones to choose from. Shorter dresses could be worn for many reasons. You might just like the style it offers, you might be getting married in a warmer environment where a long and bulky wedding dress just does not make sense or you might want to showcase something else like your shoes or even your legs! Short wedding dresses fit in the best at beach, destination and modern weddings – but if you are not having one of those, do not let that stop you. Remember it is your wedding and your wedding dress, pick the one you feel most comfortable in. Finally we come to the idea of adding in other colors besides the traditional whites and off white colors. 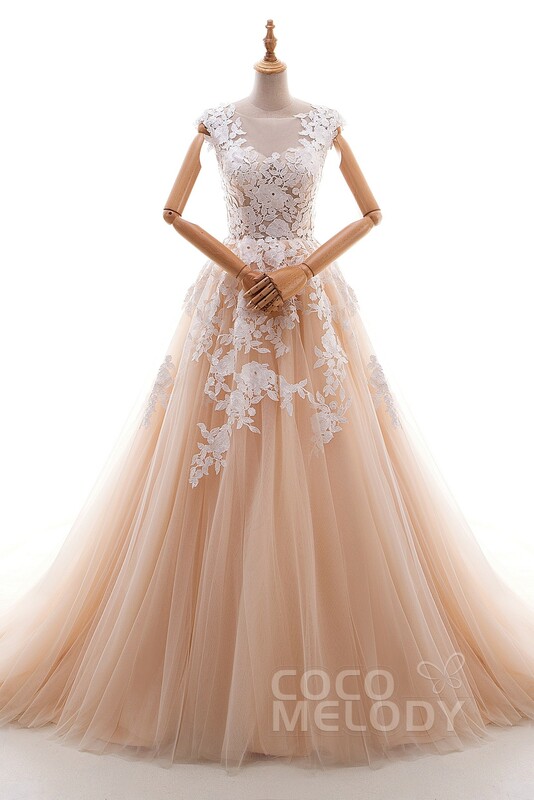 You can do this by either having a wedding dress that is solidly another color (popular choices include baby blue, ice pink, champagne, black and silver) or you can still have a white wedding dress but instead of it being all white the detail work, stitching or beads can be another color. Sometimes the additional color is added at the hemline or waist and sometimes white is only about half of the dress. There are many ways you can add a little color to your wedding dress. If this is something you are interested in the main thing you will need to do is decide how much more color you want to add and ask yourself is their a limit. Some women can only imagine themselves in a white wedding gown, but if this is not you feel free to be creative. 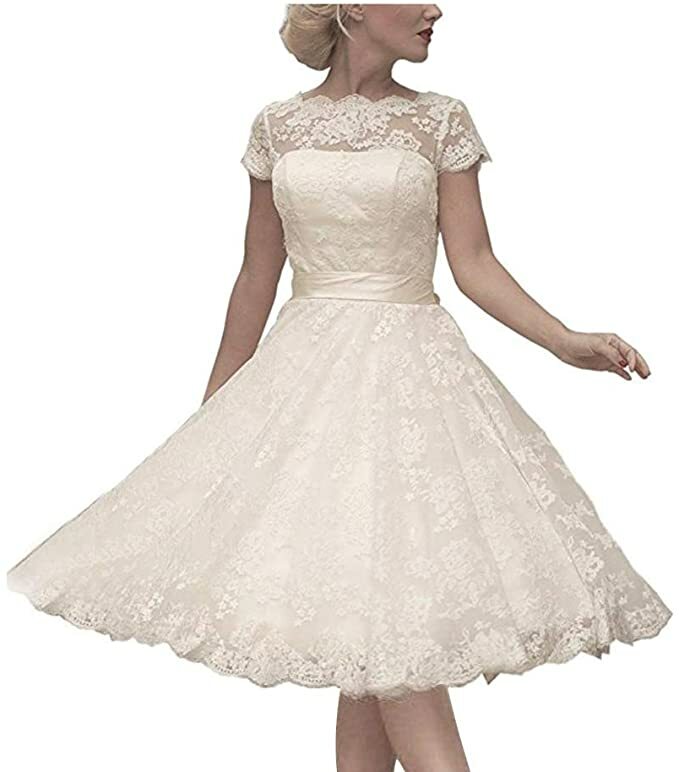 With the style ideas above along with the photos that went with them you can see there are many different ways to have a cap sleeve wedding dress. I hope you found something you love!